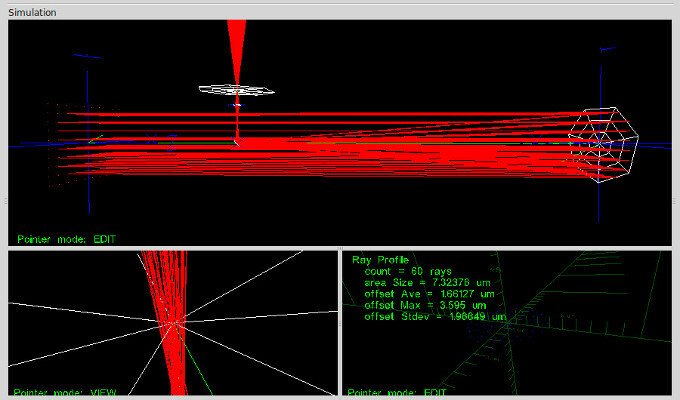 EM SLICE performs optical system design and evaluation by ray tracing through optical components. EM Slice can also import 2D and 3D models into optical systems. This ray tracing simulation demonstrates the performance of a basic telescope with parabolic main reflector and spherical focussing lens.